Having worked in various roles from website design to technical support for several marketing companies, Jordan came to Xurli as the Marketing Technologist. 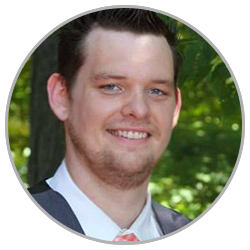 Jordan holds numerous certifications in HubSpot and is always hungry to further his knowledge and understanding regarding Inbound Marketing and technology in general. Like his father, Jordan has a passion for programming and making systems function at optimum performance, which is very evident with each project that is put in front of him. In his free time he enjoys photography and taking photos on road trips or spending time in Michigan’s Upper Peninsula with his wife in the rocky terrain of Drummond Island.